In this little article, all I want is to show you are the basics of making a good espresso shot. All the variables present in this are important points to take into account when searching for that fantastic shot. Espresso making is excellent, as the drink itself is different and opens the path to other different coffee beverages. But here, I intend to open the door not only to espresso but to a good one. You don’t have need go to a coffee shop and pay a barista to do it for you. With the right tools and preparation, the world of espresso is rewarding, and being able to prepare a fantastic shot will be something you can brag about. But how can we begin? How can this be so easily achievable? Well, let’s start with the basics and move on to the advanced. It won’t be easy, but once you get the hang of it, it will be natural. Coffee is a part of humankind, it’s been around for centuries, and more to come, and what we humans do is we keep inventing new things. Espresso was one of those things, and by the end of the 19th century, an Italian made this fantastic new way to prepare coffee. 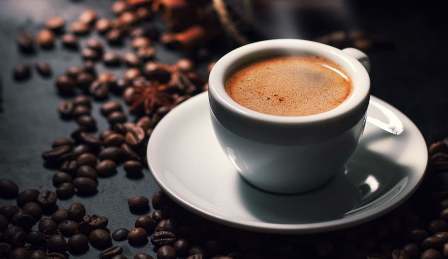 This method involved high-pressure steam to create “instant” coffee, and the result was something even better than instant coffee, that’s how the espresso was born. Nowadays, all coffee shops have espresso machines, and even a lot of homes are starting to get their own. Many advanced machines have evolved and Capsule machines are most popular now. Don’t worry. if you don’t have one, you can find our tutorial about making espresso without a machine. It will guide you to the most appropriate methods. Espresso used to be something expensive to make, you needed a specialized tool that was extremely expensive to be part of a regular kitchen’s equipment. As technology evolved, so have the machines, and now you can have your own espresso machine at home. But making espresso is not as easy as it looks, you will need to take into account several things, and this article will show you exactly what to do. Let’s take everything into consideration here, starting with the coffee most basic material. Without this product we all know, this would be a dead end, have you guessed it yet? Water. Many people actually take water out of the equation and don’t really care much about it, but in the culinary world they say “With bad ingredients, no matter how good of a chef you are, you won’t reach an excellent dish.” Water is the main ingredient and most vital when it comes to espresso and having good quality water will go a long way, as it may add flavors that shouldn’t be there. Water test kits are cheap and easy to acquire, so you should always see what kind of water you are using and act accordingly, a simple filter can make the difference! For the second ingredient, it’s another essential you know about espresso, and that is the coffee. This ingredient has to be of high quality, and not only the coffee but the grind. Coffee quality is up to you, choose the one you like best or the one people like best, but the grind has to be quite specific. Making Espresso always requires a fine grind, going as fine as table salt. If the coffee starts sticking together into a uniform mass when water is added, you will know the grind is right. For each double shot of espresso, the dose can go from 13 grams to 21 grams, depending on the coffee and the machine. So your best bet is to try it out, find what tastes the best for you and what your device can do with each dosage. Machine: Make sure that this is a specialized espresso machine, features quality built and components, as well as an excellent pressurized system. Grinder: If grinding your coffee at home, make sure that you are grinding it as fine or finer than table salt. Tamper: To compress the coffee before going into the machine, this always helps to bring most of the taste out of your coffee and to prepare it correctly for the best extraction. Filter: It depends on your machine, but this is a critical part to consider. Knock Box: To dump puck out the used espresso cake. Important things to consider as well are for example a gram weigh scale. It will make sure everything is at correct level, so you can replicate whatever you are doing right. And also something to check the espresso when it comes out, like a measuring cup, to make sure the machine yield is on point and see what changes as you evolve. Water Quality – The most basic of ingredients for the human kind, this has to be of good quality, without any sediments or impurities, to keep the coffee pure and fantastic. The Grind – Always remember to have a fine grind for espresso, as little as table salt, or even finer. This will secure the correct extraction of flavors and aromas and will bring them into your cup. Measure Everything – Measuring is an excellent form of control. So measuring how much coffee you are putting in the portafilter and how much coffee is being poured is essential to improving or replicating the espresso you are making. 13-21 Grams of coffee, and the correct amount of water (usually depends on the machine). Remember the amount of coffee that has to be adapted to suit the device, but most importantly, your taste. Now that we have all the basics in place, it is time to make that great shot. I will make a step-by-step guide down here and just follow it and adapt whatever you need to adjust. Water – Depending on your machine, fill it up or hook it to the water line. Remember to make sure that your water has to be of good quality and as pure as possible. It will avoid any kind of contamination in the final product. Also make sure it’s room temperature, as the machine will handle the heating. 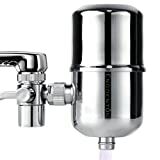 Distilled water is not recommended as most machines can take damage with this. A carbon filter works best to keep the water in the right spot. If the water is not good enough, you may have to boil it or purify it with tablets. Let the Machine prepare – Making espresso is fast, but the machine has to be ready for it. Each machine works differently when it comes to this. Make sure you are giving it enough time to heat up. The time for this is usually from as little as 10 minutes to even an hour (for very big machines, mostly commercial). Please refer to your machine’s manual for this time, as it varies from one to another. Make a Test Run – Doing a test run will prepare the machine for the real thing. It will bring all the components to the desired temperature. Lock an empty portafilter in the machine and give it the test run, this should bring water to the system and prepare everything to go. Also, you may be able to notice any issues at this point. Prepare the Coffee – This is where the grind comes in if you are getting the ground coffee from somewhere else, make sure that it’s correct. Grind the coffee until it looks like a powder, but it still generates some friction if you rub it between your fingers. It is quite a specific point but, believe me, its worth it. Measure 13 to 21 grams (depending on your taste and the machine/coffee you are using) and place it in the portafilter. Make sure that the grounds are settled in the basket, using your finger to level the coffee, filling any empty spaces gently. The Brew – Use the tamper to compress the coffee. Twist it with your whole arm and making sure that you press evenly. Use your fingertips to guide yourself and inspect the coffee to make sure it’s leveled. Lock the portafilter now, and use the machine as it’s supposed to (running thru any stages it may need for brewing, like pre-brew). Use predetermined brew yield, which is usually about 2 ounces. The pour should take around 25 seconds if this time is not right, then the grind size may be off. The ideal temperature is around 200ºF. Liquid Delight – Now that the brew is complete, behold that delicious result. Some people like mixing the crema by stirring the espresso or changing the recipient, but it’s really up to you. Use the knock box to puck out the used coffee. The result should be great as long as everything goes right. Make sure to taste this cup. It will tell you if the amount of coffee used was the right one, as well as the grind size. Usually, if the size is too coarse, the taste will be sour; and if it’s too fine, the flavor will be bitter, so adapt to it based on the final result. If overall, you think the method is overwhelming and not for you, we suggest to use a fully automatic machine that does all the tedious work without much intervention. However, they are going to burn a big hole in the pocket. If you want to make a cappuccino or a latte, steam milk is what you need. There are some kinds of milk like oat, soy, and almond that can work correctly. Some have barista-made versions, but in my opinion, the best is just whole milk. Fill the pitcher and make sure that there is enough space for the steam. So don’t fill it all the way, leave around a finger between the milk’s top and the serving spout. When steaming, make sure that you reach that perfect point where you are getting a beautiful foam, without big bubbles. Also feel the milk’s temperature when holding the pitcher. This is something you must practice before becoming a pro. Pour Time – If your shot took too long or too little (Base is around 25-30 seconds) then maybe the ground is either too coarse (fast) or too fine (long). Taste – Is it bitter? Is it sour? Or just plain strange? Temperature and brew time can affect this as well as grind size. If it’s bitter, make sure the water temperature is not exceeding 200ºF. 205 is fine, but 210 can start causing issues. If the brew time was too long, it could also cause this. For sour, make sure the temperature is not too low, and the brew time is not too short. You may be wasting a lot of taste from your coffee with this wrong. For strange, if your coffee tastes like it shouldn’t, it could be contamination, or it could be uneven-flow when extracting. Make sure the coffee is leveled when locking and everything is sealed without any kind of leaks or holes. Consistency – from water espresso to crema, this should be fixed immediately. If your shot is way too light and watery – you can decrease the yield, increase the coffee dosage. Compress harder with the tamper, use a finer grind or even use fresh coffee. When the crema is barely there, your coffee could be old. Maybe there is not enough pressure in the puck – increase the dosage, get a finer grind or get fresher coffee. 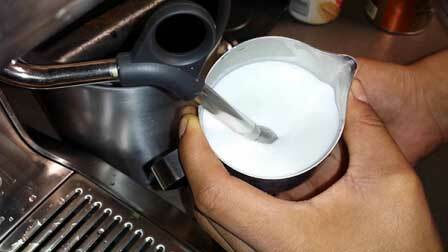 If there is an excess of crema, there is a chance that your coffee is too young and fresh. Also the gas from the roast process is still present – To fix this, usually, just let the coffee sit for 2-3 days, and it will be ready to go.